Melanie Crinis graduated with a Bachelor of Laws Degree (with Honours) and a Masters Degree with Distinction (specialising in commercial litigation) from QUT University in Australia. She was admitted to the Supreme Court of Queensland in 1998 and subsequently to the High Court of Australia. Melanie was also admitted as a solicitor in England and Wales and as an attorney in the Cayman Islands in 2003. Melanie has been involved in a number of large, international trust disputes at the cutting edge of the law ranging from suits involving the removal of trustees and/or the trust protector, construction of trust deeds, handover issues including former trustees’ entitlement to an indemnity and entitlement to withhold assets, Hastings Bass proceedings to claims for breach of trust. Melanie has also been extensively involved in advising directors of troubled funds generally and in the event of disputes, particularly with respect to restructures and the redemption of shares. She has also been involved in a number of insolvencies, working closely with major insolvency practitioners. She has particular experience in advising on the recovery of assets and actions against directors for breaches of fiduciary position, insolvent trading and fraud. 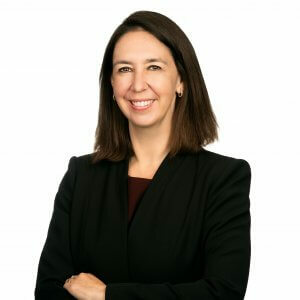 Melanie regularly appears as both lead and second counsel in the Grand Court and the Court of Appeal and has been involved in a number of reported decisions in the Cayman Islands. Melanie also regularly publishes articles and speaks at seminars on various topics of interest.